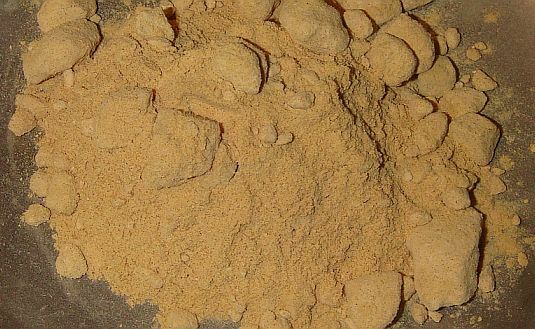 Yacon powder is obtained from the Yacon root. It is a perennial plant that gives a unique texture and flavor. It is grown in the central and northern Andes, northern Argentina, and Colombia. Yacon powder is known to possess strong medicinal properties that help in the management of several disorders. To make yacon powder, the root is dried and later ground into a fine powder. The delightful taste of Yacon powder makes it a perfect ingredient for sweetening desserts. Some popular Yacon powder recipes involve adding it to cereals, mixing it in your favorite drink, or blending it in smoothies. You will probably not find Yacon powder in regular grocery stores. Your best choice is to just order it online from a reliable place. A suggestion would be to make your purchase through Amazon. Read here for more information about the Yacon plant. What does yacon powder look like? The color of Yacon powder is often yellow/brown. How do you store yacon powder? You should store it in a cool and dry place and make sure the container you store the powder in is properly sealed. Can I use yacon powder as a appetite suppressant? Some people eat yacon powder for natural weight loss. However, there are mix reactions on how well it works. Some say it works and some claim it has little effect. I don’t like tasting the powder. What other choices do I have? Well, if you don’t like the taste of the powder, you can try yacon root powder pills. They are often sold as a weight loss product. You just swallow the pill without having to feel any taste. Another option is to to try yacon syrup, which however does have sweet taste.